Great for longer distances on paved roads. Scott Speedster S20 FB frame – for hybrids. 28 mm tyres – the thinnest I find practical for riding. 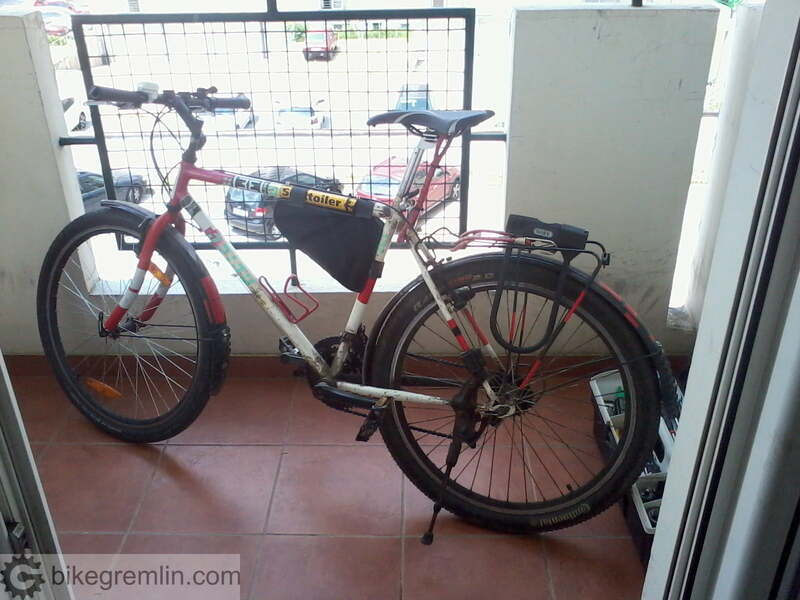 Rear rack for carrying backpack and panniers. 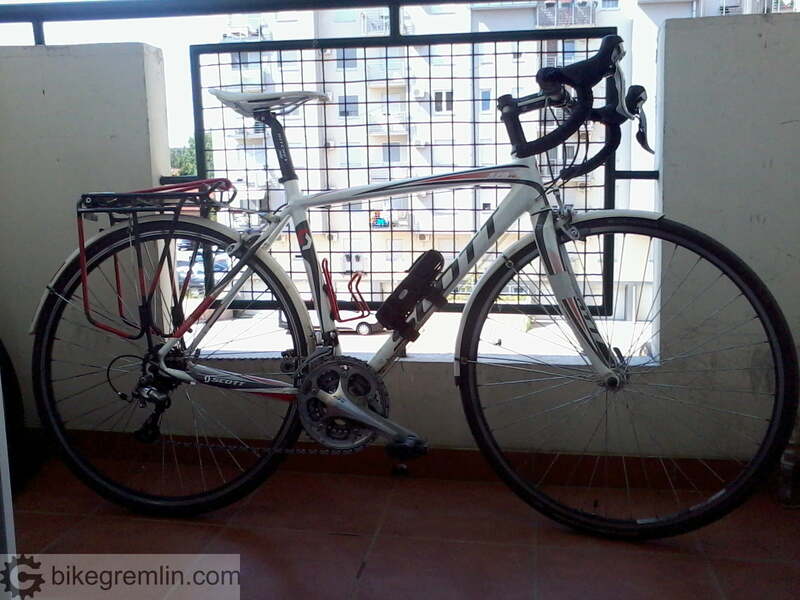 Full Shimano 105 3×10 groupset. As of 2015 groupset switched to 2×8 Claris – cheaper and more robust. 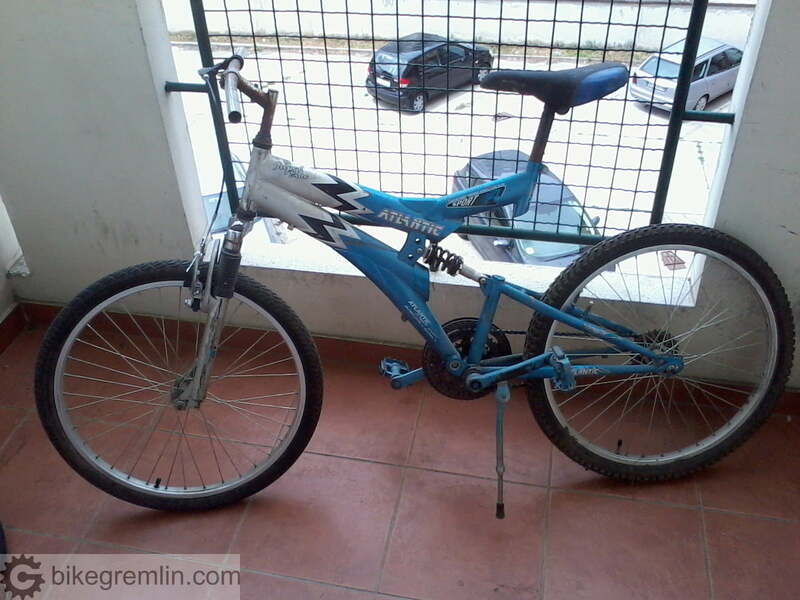 Serbian made steel frame from 1996. All other components have been replaced in the meantime, except handlebars, rear rack, shifters and front derailleur. 3×6 friction shifting – works flawless. Shimano Deore V-brakes, Alivio bottom bracket – it is a gem in disguise. Made of thrown away parts in service. Front tube was the only investment – because 24″ tubes aren’t replaced that often, so didn’t have any spares to patch. It rides and brakes OK.